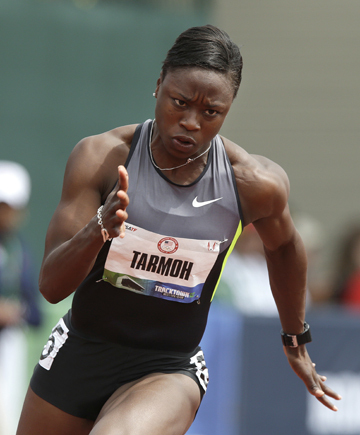 EUGENE, Ore. (AP) — Jeneba Tarmoh conceded the final Olympic spot in the 100 meters rather than race against training partner Allyson Felix. The runoff was scheduled to be shown in prime time on NBC in conjunction with the network’s coverage of the swimming trials. It would’ve been a boon for track. Now, it’s another blow for a sport that’s taken its fair share of late. The controversy in the 100 overshadowed the entire trials because USATF had no protocol in place to deal with a dead heat. 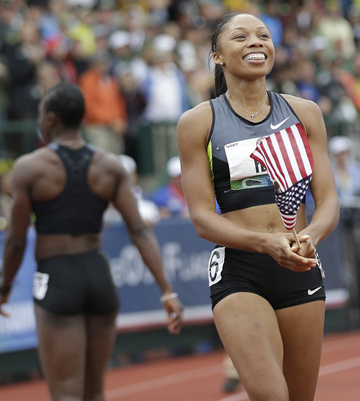 And while top officials scrambled to draft a tiebreaking procedure, the athletes didn’t want to talk about it until after the conclusion of the 200 — nearly a week later. The tiebreak also didn’t exactly address this particular situation — an athlete commits to racing and decides not to at the last minute. The matter, however, was resolved once Tarmoh stepped aside.